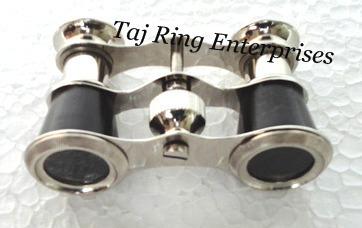 Taj Ring Enterprises is one of the leading manufacturers Exporter & suppliers of an extensive range All kind of Vastu items ,Religious Yantra ,Pyramid Yantra, Meru Shri Yantra & All type Brass Ring.Our offered range includes Vastu Payramid Yantra, Meru Shree Yantra ,Stand Timer ,Poem Compass ,Brass Antique Compass,Magnifying Glasses, Brass Telescope ,Survey Instruments ,Nautical Items , Spot Search Light ,Gemstone Ring ,Religious Kavach ,etc. Our products are accurately designed to cater to the diverse requirements of our customers. Our product undergoes quality control tests based on well defined parameters and take necessary quality measures. Our success can be attributed to our sound infrastructure and our team of experienced professionals. We have a vast clientele to whom we offer quality products. We follow a standardized production process. So, as to maintain standard quality for every single product.